New Website - Donor System Tutorial. Thread: New Website - Donor System Tutorial. Why should I Donate to iO? Every single penny donated goes directly to the running costs of iO and those running costs sure are a hefty penny. The more people donating, the more servers, the more giveaways and ultimately the more fun and the better the iO community will be. So if you can throw iO a few bucks a month in exchange for the millions of fun days/nights the community provides, it will go a long way. Various "Donation Packages" can be earned based on how much you donate, the packages iO currently offer can be seen below and are sorted by lowest to highest price. Server benefits from the previous donation package are also granted to the next higher package. When you donate the Donation Benefits only last for a Single Month (30-Days) this means that if you donate $5 for the Bronze Donation Package on September 1st, 2009, your Donation benefits will only last until October 1st, 2009. Customized in-game menu by typing !donormenu to control all donor plugin settings. All chat outlined in bright green to signify that you're a supporter! Confetti animation on all deaths, so everyone will know they've killed an upper-tier donor! Ability to gibb on all melee kills! All Bronze server benefits are also granted to Silver Donors. Fireworks on all damaging effects against you to signify your gold donor status. Ability to gibb with all weapon kills! A beacon of fire during the humiliation round to cause damage to other players in range. All Bronze & Silver server benefits are also granted to Gold Donors. Step 1: Navigate to iOGaming's Donation Page, either through the iO Homepage by clicking on "General" tab and selecting "Donate"
Or click on this link (http://iogaming.net/donate) to be re-directed to the donation page, proceed to Step 2 when you have completed Step 1. Step 2: Now that you're on the donation page enter an amount you wish to Donate into the Donation box located on the left half of the Donation Page. Proceed to Step 3 when you have entered your amount that you wish to donate to iO, this money is non-refundable so please take a few minutes to think before you make any decisions. Step 3: Now that you've decided on the amount of the Donation that you wish to send to iO you now have to choose between either of the below options (displayed in the image below). Donate - This option will donate the sum you put into the Donation Box to iO once, this option will not make a recurring payment. Subscribe - This option will donate the amount you put into the Donation Box monthly, that means every month the amount you subscribed to will automatically be subtracted from your Paypal Account or Charged to your Visa, Mastercard, Discover Card or American Express. When you have decided on an option proceed to Step 4a for a Single Donation or Step 4b for a Recurring Subscription to iO. Step 4a: Now that you have chosen a Donation Type you will now be asked to provide your payment information or asked to Log into Paypal, if you've chosen to Log into Paypal this is where the guide will end for you if you've chosen to enter your payment information continue reading below. Once all the information in the picture below is filled out you can click on "Review Donation and Continue" to proceed to the last confirmation step, it's pretty straight forward from here so this is where the guide will end. Country: Select the country in which you reside, for most people this will be America, if it isn't select the proper result from the drop down box. Credit Card Number: Self Explanatory, this is the 12 - 18 digit number that appears on the front of the card, the position on the front is determined by the Credit Card provider. Payment Type: Click on the image which applies to your credit card, currently as iO uses Paypal to receive Donations you are limited to Visa, Mastercard, American Express and Discover Cards. CSC: Card Security Code (CSC) is the 3 digit security code located most commonly on the back of your Credit Card, this needs to be filled in for the payment to be charged to your Credit Card. Billing Address Line 1: This is the street on which you live, type in your full address, excluding town, country and Zip / Postal Code. Billing Address Line 2: This is the continuation of your Billing Address from Line 1, things like Apartment Numbers, Town House Numbers, etc may go here, anything else should be entered in Billing Address Line 1. City: The City in which you currently reside. Home Phone: This should match the home phone number of the card holder. Last edited by WildFire; 11-19-2009 at 09:47 PM. 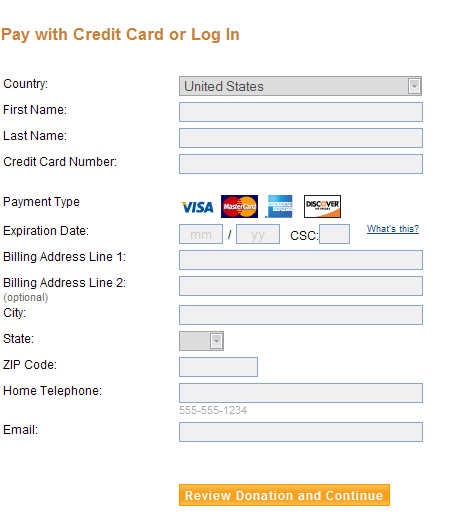 Step 4b: Now that you have chosen a Donation Type you will now be asked to provide your payment information or asked to Log into Paypal, if you've chosen to Log into Paypal this is where the guide will end for you if you've chosen to enter your payment information continue reading below. If the image below should appear re-enter the amount you want to donate to iO monthly and press the "Update Total" button under the total box, sometimes this option doesn't show up and sometimes it does. 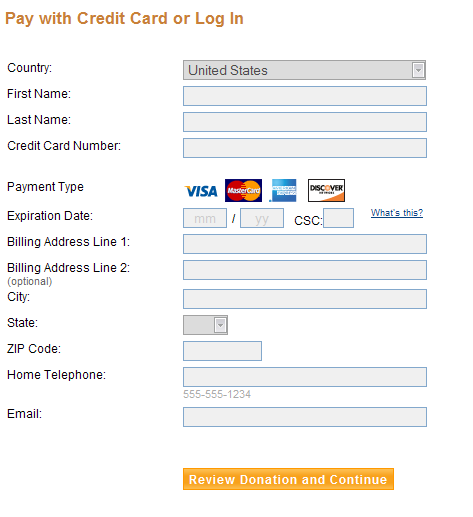 Once the above image is taken care of it's now time to enter your Payment information, the below image should be what you're seeing and the information below the image is what each field means, fill all of this out and press the "Review Donation and Continue" button to proceed to the Confirmation Step of your donation. Thank You For Donating to iO! Last edited by WildFire; 08-31-2009 at 02:59 AM. All I can say is........whoa. Nice job man! "Time doesn't always heal, it just breathes and swallows memories." Thanks, I'll have to edit the post once the URL's are finalized. Hey guys one quick question i am not sure if it is mentioned somewhere else but , do i need to cancel my current Donation subscription and redo it in order for this all to be worked out, or is it done automatically? yes you must cancel your current subscription and redo it to recieve the new benefits. Do the benefits of whatever package last forever? Or for only a month? I.e. if I were to make a one-time donation of $25 (gold package), would i get all the in-game benefits of the gold package for all eternity, or for just a short time following my donation? The month donated or a month since donation. Because I just donated on the 31st of August. Will my benefits disappear tomorrow? 25 BOnus iO Rep Points means a total # of Rep Points will be added to your account after donating, this is currently not working and being worked on. The Offensive Rep I imagine is the amount of time you need to wait between neg and pos repping someone but I will probably need to be corrected with this statement. nice work Wild! You sure put a lot of effort into helping our iO forum members ! 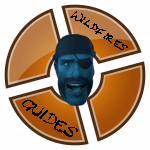 Nice guide Wildfire. Only one thing missing. Note: You get the previous tiers and the current tiers worth of benefits unless one of the benefits is more powerful(like the weapon gibbs).